If you are looking for easy-to-maneuver windows that allow for an abundance of fresh air, then sliding windows are the clear choice for your home in La Crosse, Wisconsin. These windows are designed to allow two separate window sashes to slide independently for the ultimate in ventilation. And, because of their unique design, they are perfect for window openings in a home where the width is greater than the height. 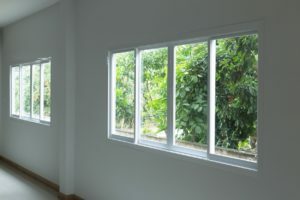 At Clear Choice Energy Solutions, you can choose from two unique sliding window varieties – the 2-Lite and the 3-Lite. With the 2-Lite slider, both of the sashes slide. However, with the 3-Lite slider, the center panel stays stationary while the two sashes on either end of the stationary panel slide open. No matter which option you choose, you can rest assured that they will be installed flawlessly by our team of manufacturer-certified technicians and backed by a lifetime warranty for your peace of mind. To learn more about our vinyl sliding windows, contact Clear Choice Energy Solutions today. And, be sure to ask about the durable, ENERGY STAR® rated composite windows that we can install and the pocket replacements that we can also perform for interested homeowners in the La Crosse, WI, area. Contact Us Today to Learn About Our Exclusive Offers! Check Out Our Finished Work! There is no company serving western Wisconsin better to help bring your home remodeling dreams to life than Clear Choice Energy Solutions. We promise to use industry-leading products, provide superior workmanship from highly trained technicians, and deliver service that results in an exceptional experience from beginning to end. © 2019 Clear Choice Energy Solutions. All rights reserved.